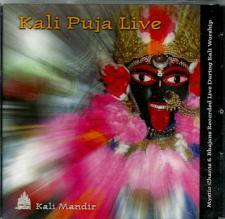 Back in print newly mastered and recorded, this is the original Kali Puja Live album. 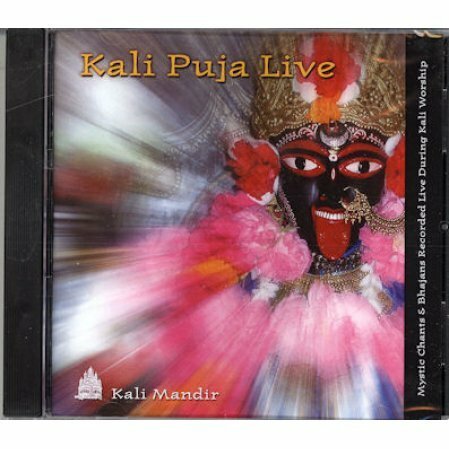 Devotional singing recorded live during Kali Pujas at Kali Mandir in Laguna Beach, California.These songs and chants capture the soulful longing for the Divine Mother be artists from a variety of musical and spiritual disciplines. Songs were chosen for their passion and devotion rather than technical perfection. Swami Bhajanananda Saraswati (vocals, harmonium, khol mridanga, kartals); Rampriya Das (vocals, harmonium, khol mridanga); Brahmachari Parameshwara Chaitanya (khol mridanga, kartals).